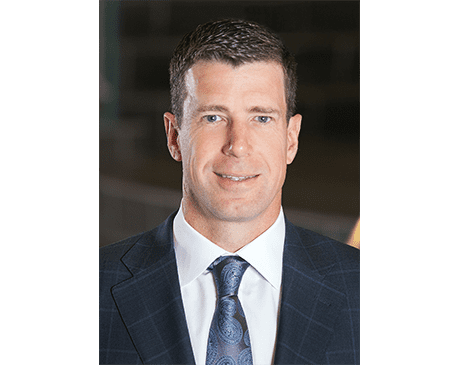 Steven J. Thornton, MD, is a board-certified orthopaedic surgeon, an orthopaedic sports medicine surgeon, and a leader in the field of minimally invasive surgery. He specializes in elbow, hip, knee, and shoulder procedures and sees patients at the Dallas location of Texas Orthopaedic Associates, LLP, on Greenville Avenue. Dr. Thornton earned both his medical degree and his bachelor’s degree from the University of Mississippi in Jackson, Mississippi, where he was elected to join the Alpha Omega Alpha National Honor Medical Society and was awarded the Donald Imrie Award for Most Outstanding Performance in Orthopaedic Surgery. After completing his internship in general surgery and residency in orthopaedic surgery at the University of Texas Southwestern Medical Center in Dallas, he was awarded a prestigious sports medicine and shoulder surgery fellowship at Cornell University’s Hospital for Special Surgery in New York City. He also completed a traveling fellowship in orthopaedic surgery at Norwich’s Royal College of Surgeons in the United Kingdom. Dr. Thornton is currently a member of the American Academy of Orthopaedic Surgeons, the American Orthopaedic Society of Sports Medicine, and the Texas Orthopaedic Association. He’s widely recognized as being at the top of his field, having been on D Magazine’s list of Best Doctors in Dallas. He has a long history of working with athletes at the highest levels, having served as a team physician for the Texas Wild Professional Tennis Team and as an orthopaedic surgeon for the NCAA Final Four Men’s Championship, the Hamlet Professional Tennis Tournament, Visa America’s Gymnastic Cup, and the United States National Figure Skating Championships. In addition to his work with patients, Dr. Thornton contributes to advancing the field of orthopaedic surgery. He is a clinical assistant professor at the University of Texas Southwestern Medical Center, a reviewer for the Journal of Arthroscopy, and the author of numerous scientific articles and book chapters on various sports-related topics, such as rotator cuff repair, ACL reconstruction, and elbow ligament reconstruction for athletes with throwing injuries. Outside of his practice, Dr. Thornton enjoys spending time with his wife and three children and playing golf. Super kind with great professional ethics, so happy with the results,very approachable and caring, simply the best in the world. would do it again. God bless doctor Steven and his team. I went to Dr Thornton with a ripped patellar tendon on my left leg a week after the incident, they found a spot for me to do the surgery on my knee the very next day. The surgery was a complete success!!.. and so was the recovery, my leg is back 100% back to normal!!. Dr Thornton is a very awesome doctor, team player, he takes the time to explain things in detail for you to understand everything, he is patient, realistic yet positive and encouraging. The entire staff is awesome , everyone is super nice. My experience was great, this place is real quality. I would definitely recommend anyone to come here and I would certainly come back if I need to.